If you’re looking for the best all-season fence in Richmond, it’s hard to beat aluminum fencing. Aluminum fence ranks highly across the board in terms of durability, ease of maintenance, return on investment, and more. And with our custom in-house aluminum manufacturing, you can get exactly the aluminum style and color you’re looking for. Want to learn more? Read our blog to learn why aluminum might just be what you’re looking for for your new fence in Richmond! Aluminum is one of the most durable materials. It’s a non-ferric metal, which means it’s already highly resistant to rusting. Combined with our special aluminum treatment in the factory which protects the metal with our own spray on primer/paint, and your fence is ready for whatever comes its way. Wind, rain, sleet, snow, heat, the list goes on. Aluminum fencing has what it takes to stand up to the elements. Aluminum fencing is also very easy to maintain. Unlike, a wood fence for example, you won’t have to seal, prime, or paint your aluminum fence. An occasional washing with soapy water and drying is enough to keep your aluminum fence looking pristine. Aluminum is highly customizable in terms of design style and color. We can work with you to design your ideal fence. From classic lines to ornamental fence, aluminum can fit the look that you want for your fence. We’re proud of the work we do and we stand behind it. We offer a limited lifetime warranty on all of our fencing in Richmond. Because aluminum fencing lasts so long and requires little upkeep, you get a great return on your investment. Want to learn more about the benefits of aluminum fencing? 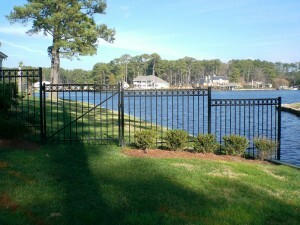 Contact Hercules Fence of Richmond. 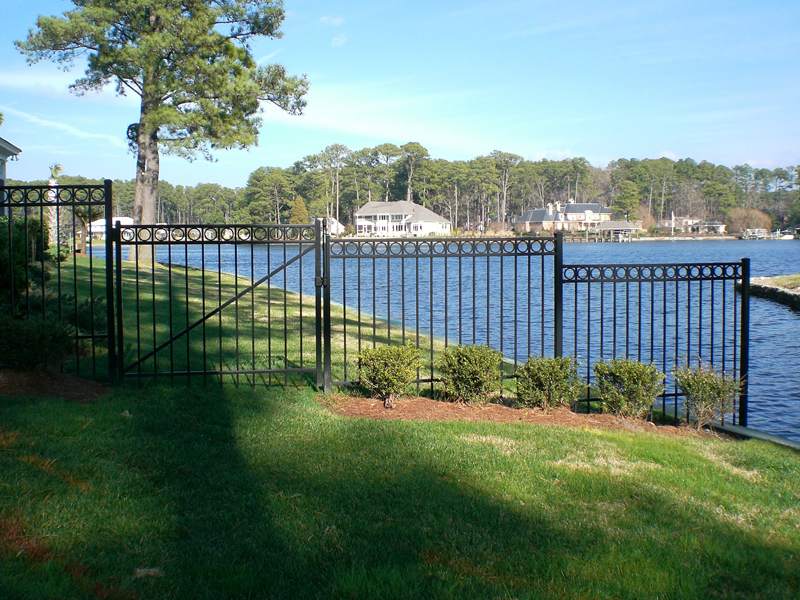 Hercules Fence of Richmond has been providing professional fence installation and service in Richmond for more than 50 years. Call us at (804)752-7992 or contact us on our website to learn more about residential and commercial fencing in Richmond. This entry was posted on Friday, December 19th, 2014 at 4:47 pm. Both comments and pings are currently closed.